Salvatore Ferragamo, a world leader in the luxury goods sector, reopened last year its historic store in Canton Road, one of the most prestigious luxury shopping streets in Hong Kong. 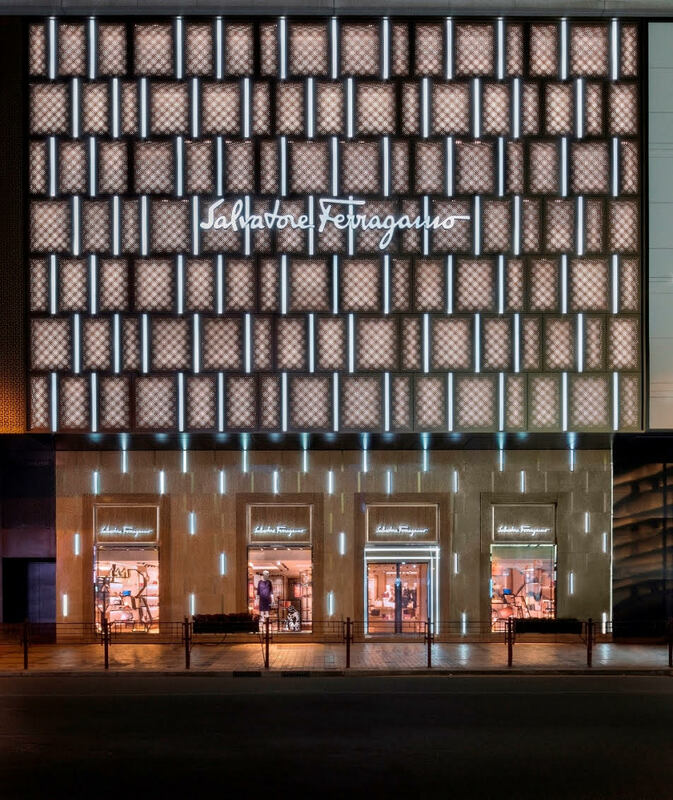 Fully renovated with a fresh, contemporary design, the store spans a surface area of 680 square metres and holds the complete range of Salvatore Ferragamo Men’s and Women’s collections: bags, shoes, “Creations”, small leather items, RTW, silk accessories, eyewear, perfumes and watches. The two-storey boutique features a façade of bronze panels illuminated by vertical strips of LEDs, evoking the gros-grain ribbon on the fashion label’s Vara shoes. The Women’s collections are found on the ground floor, and the store entrance opens up to a large, two-storey hall where bags are displayed. Video installations, alternating with special lighting, are projected onto the decorated, illuminated ceiling for a particularly dramatic effect. 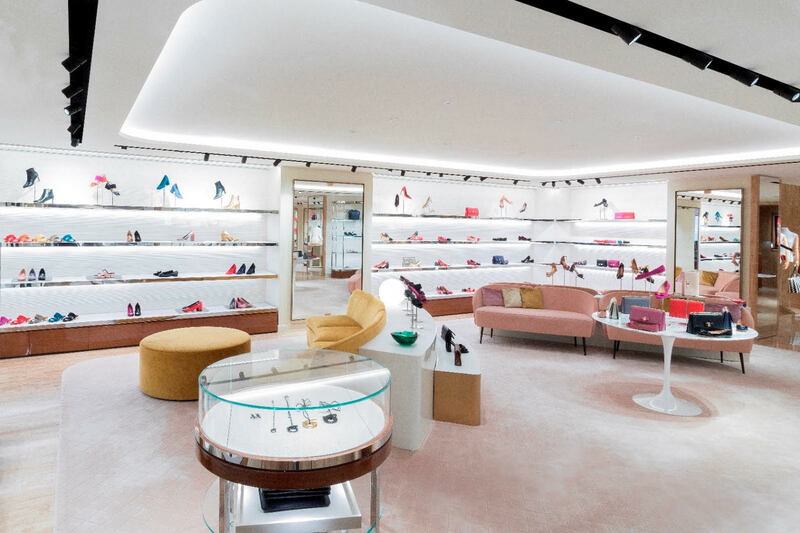 Bags, jewellery, accessories and RTW are displayed in subsequent rooms, and ample space is dedicated to shoes, with an entire wall devoted to Ferragamo’s Creations. The travertine and marble floors, furnishings in walnut, polished to a high gloss, with soft, rounded shapes and hardware in brass and steel, and the gold and pink silk velvet settees accentuate the soft, feminine feel and comfort of the Women’s section. A travertine staircase leads to the Men’s collections on the first floor, which is decorated with a more masculine flair with wood and marble floors, ebony furnishings and leather and light blue velvet settees and chairs. The new store in Canton Road is LEED Gold certified (Leadership in Energy and Environmental Design). The renovation, which was designed in accordance with Green Building Council protocol, was recognised for its energy and water efficiency, the excellent choice of materials, management of the work site, innovation and environmental quality.